Want dinner on the table in about 15 minutes? Well, grab a pack of LiveGfree Cheese Ravioli from Aldi (they’re on sale to clear out extra stock from the special buy) and follow the instructions, while your water is boiling, pour a jar of pasta sauce (I used Classico) into a pan to warm. 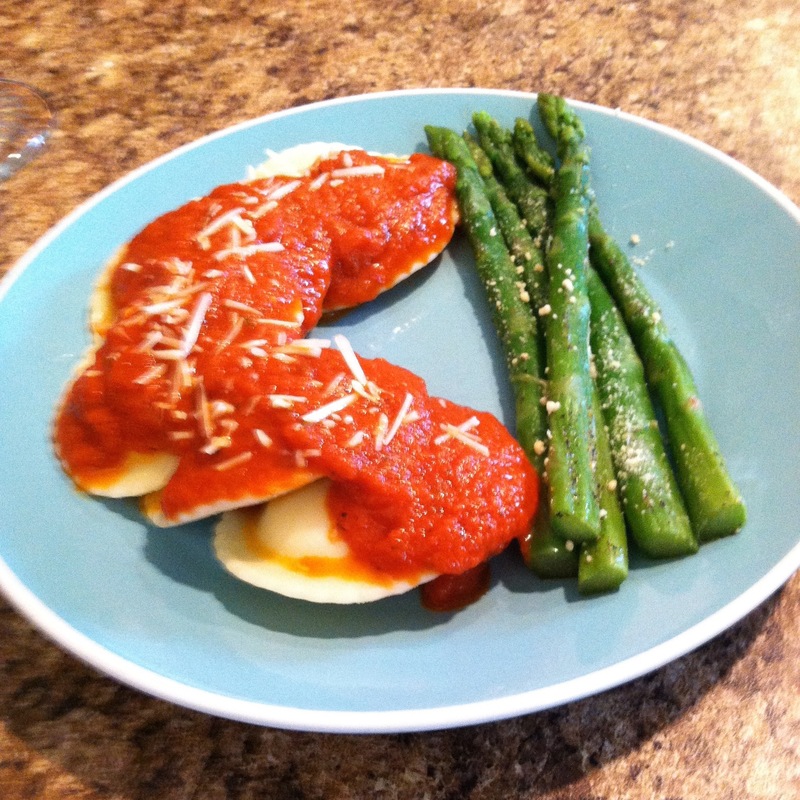 About five minutes into cooking your raviolis, throw a bag of steamable asparagus (I used Season’s Choice from Aldi) into the microwave and cook according to directions. 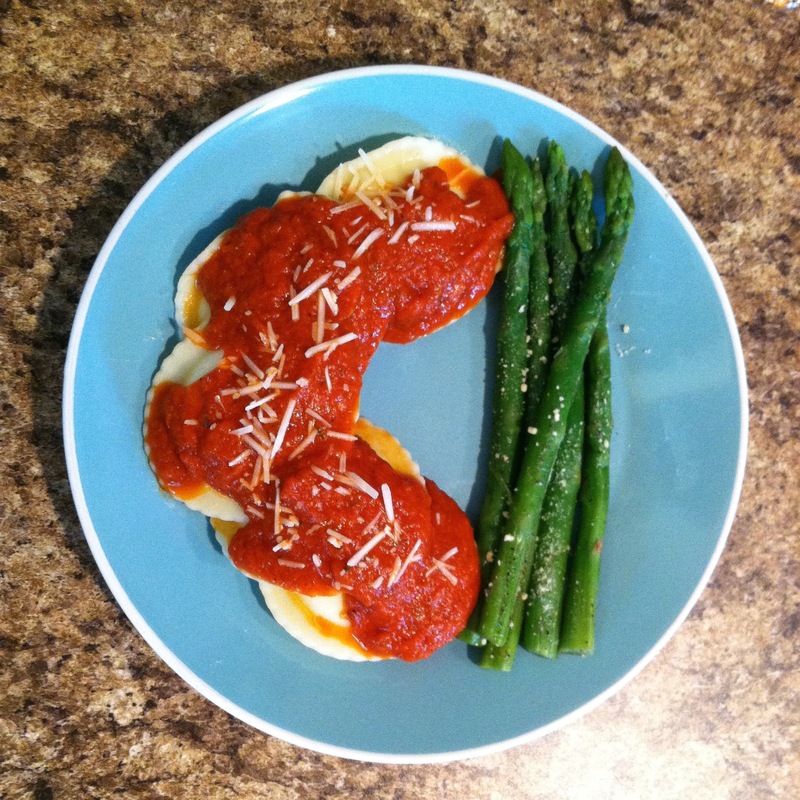 Serve your ravioli with your sauce, and a side of asparagus. It turns out rather pretty. See: And from the side: Hope this helps y’all find an easy dinner to add into your meal plan for the week! 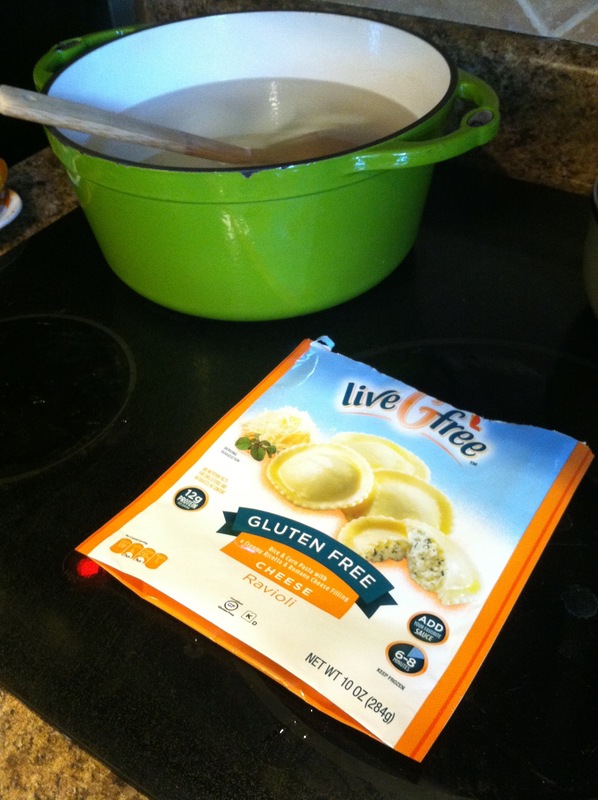 What are some quick Gluten Free dinners y’all love? Let me know in the comments! !